Rekey locks Forest Hills MI . Call A1 Locksmith Service. We have an alternative to having your entire lock replaced! Having a lock rekeyed (or sometimes called repinned) involves changing the lengths of the pins inside the lock cylinder (tumbler) so they will no longer accept the old key. 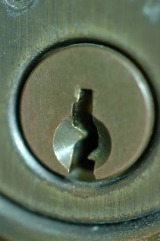 Our locksmith will then make a new set of keys that match the series of new pins installed in the cylinder. When you have good quality locks, this is a better alternative to just replacing the locks. The low-cost replacement locks at your local department store are most likely of inferior quality to the locks you already have! Yes, you can change the locks yourself, but if you currently have good quality locks, downgrading to a lower quality lock (from your local store) will not keep you safe and they will not last! Over time, these locks often made in foreign countries, will breakdown; requiring replacement again before long. When you compare the cost of rekeying the existing locks with replacing your entire lock with a lock of the same quality, the cost of rekeying is a much better value. What does it cost to have locks rekeyed? We are open 24 7 and our will respond quickly to emergencies or schedule an appointment ahead of time at your convenience! a key you have loaned out is not returned (it is easy to copy keys). You can also rekey your locks for convenience. All your locks in the home, can work with just one key! Back door, side door, front door.